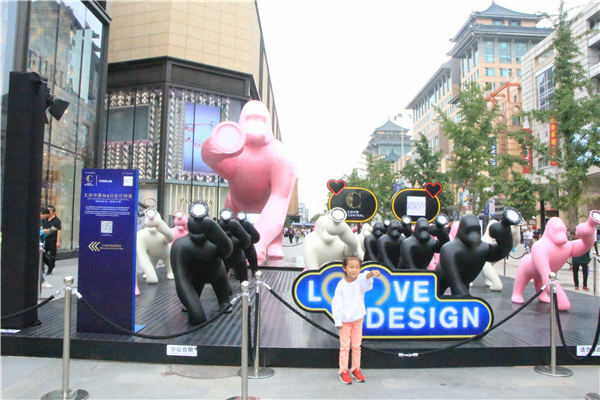 The Love Design exhibition by Maison and Object Design Pavilion at the WF Central mall in Beijing. Maison and Object showcases creative products in Beijing. 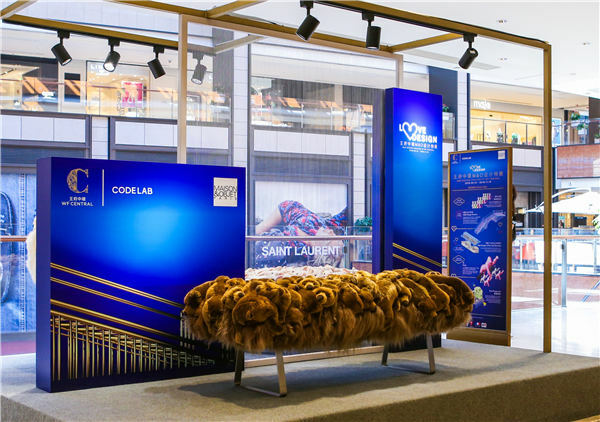 A little bit of Parisian savoir faire has found its way to Beijing as the Maison and Object Design Pavilion recently opened at WF Central, a shopping center in the capital. The pavilion, which originates from Paris and showcases more than 30 brands - 12 of which are making their Chinese debut - will run for two months. In addition, the pavilion will showcase the works of six designers who have been awarded the accolade "designer of the year" by M&O, including: Andre Fu from Hong Kong, the founder of AFSO; Euge ni Quitllet, a Catalonian designer whose works are characterized by flow design and digital precision; Oki Santo from Japan, who drew inspiration from Japanese minimalism; Philippe Nigro, a veteran French designer who has been working in the industry for more than 20 years; Ramy Fischler, a Belgian designer who is deeply influenced by film art and Tom Dixon, a self-taught British designer, who was awarded an OBE (Officer of the Order of the British Empire) by the Queen in recognition of his outstanding achievements in the design industry. Based on the image of King Kong, the giant ape from the eponymous 1933 Hollywood classic, a five-meter high pink polyethylene gorilla lamp named "Kong" has been erected and will serve as pavilion's mascot. Together with 19 others - in smaller sizes and in varying colors of pink, black and white - they welcome the visitors at the entrance of the shopping center. Originally designed by Qeeboo, a furniture and accessory brand launched by Italian designer Stefano Giovannoni in 2016, each one of them is holding a flashlight. A blue Iron archway forms the entrance to the main exhibition area on the third floor of the shopping center, while a bridge made from the same material is suspended from the ceiling. These curation settings apparently represent the oriental culture and Chinese traditional elements that the local residents are familiar with. Fu and Nigro attended the opening ceremony and talked about their design philosophies. With the theme of Love Design, Fu revealed that he wanted to strike a chord with the visitors of the pavilion - to let the audiences discover the attention that he paid to the design of the objects, and that his spirit will reach their heart and create a new memory. "The lifestyle is not intentionally created, but it comes from the heart," he explained. "The hardest challenge for me as a designer is to hold on to my own belief. It's important to be truthful to myself, and create products that I truly believe in." He claimed that design is not just about responding to what's fashionable at the moment, or what's the "in" color. For an interior designer who is also an architect, his commercial design work usually expresses his feeling toward the city, the context of the neighborhood and how he feels about the particular brand that he is collaborating with at the time. Having studied his master's degree in architecture at the University of Cambridge in the United Kingdom, Fu has absorbed wisdom from mixed cultural backgrounds. However, he never bothers to distinguish the origins of elements that he applies to his designs. "I hate to generalize eastern culture as a whole, as well as the western culture. I draw inspiration from the life that I live," Fu said. Nigro defined luxurious design as high quality personalized objects, made of superb materials, which exude elegance. He pays a lot of attention to the functionality of the products he designs, and he wants to establish an intimate relationship between the object and its user. He also showed his appreciation toward M&O. He said that being recognized as designer of the year in 2014 has brought him much more visibility and awareness, and the chance to collaborate with different brands including the likes of Japanese automotive company, Lexus. He described the pavilion by saying that it exhibits everything that people who live in a house will ever need.